Mrs F first attended her dentist with severe toothache affecting her lower right jaw and gum for four days and was prescribed antibiotics. The pain continued and 2 weeks later had a tooth extracted from her right lower jaw. Over the next 8 days she developed a lump under the right side of her jaw. This lump did not resolve and so her dentist referred her urgently to the maxillofacial unit under the two week cancer rule. She was seen at the Maxillofacial unit at East Kent Hospitals 10 days later. The lymph node was eventually investigated four days later via an ultrasound and fine needle aspiration. Mrs F’s symptoms worsened and a month after her referral it was decided she should undergo an MRI scan. Unfortunately this had to be cancelled as Mrs F could not tolerate the MRI scan due to a previous upsetting experience. Mrs F was only seen twice between the time of her referral and in the coming four months. The lump increased from 2.5cm to 9cm during that period. At he follow up she was finally informed she had cancer. A month later a CT scan was performed and she was diagnosed with non-Hodgkin's lymphoma. The lymph node increased in size dramatically in a relatively short period of time until chemotherapy began resulting in further painful and upsetting symptoms which interfered in her daily living. As a result of the late diagnosis, the Claimant suffered unnecessary pain and upsetting symptoms and suffered avoidable deterioration of her non-Hodgkin's lymphoma. Overall she feared that the delay in diagnosis had reduced her prospects of successful treatment and had reduced her life expectancy leading her to suffer from psychological symptoms. As a result she suffered suicidal ideation during the period of delay when the lump was increasing in size. 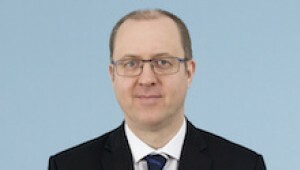 Jonathan Herbert, specialist clinical negligence lawyer acting for the claimant obtained medical reports from experts who confirmed there had been an avoidable three month delay in diagnosis. The expert confirmed that a CT scan ought to have been undertaken within 2 weeks of the ultrasound and aspiration investigations. Jonathan was able to successfully obtain an out-of-court settlement of £5,600 to compensate the claimant for her pain and suffering. Jonathan Herbert specialises in cancer cases. If you would like to ask Jonathan a question about a potential case, or if you have a general query about any clinical negligence, contact Jonathan at Thomson Snell & Passmore on 01892 701226 in confidence.